This week on Central PA Live, Ron discussed the importance of the Zostavax vaccination, which helps to reduce the occurrence of the Shingles virus. Click here to view the segment and learn more! 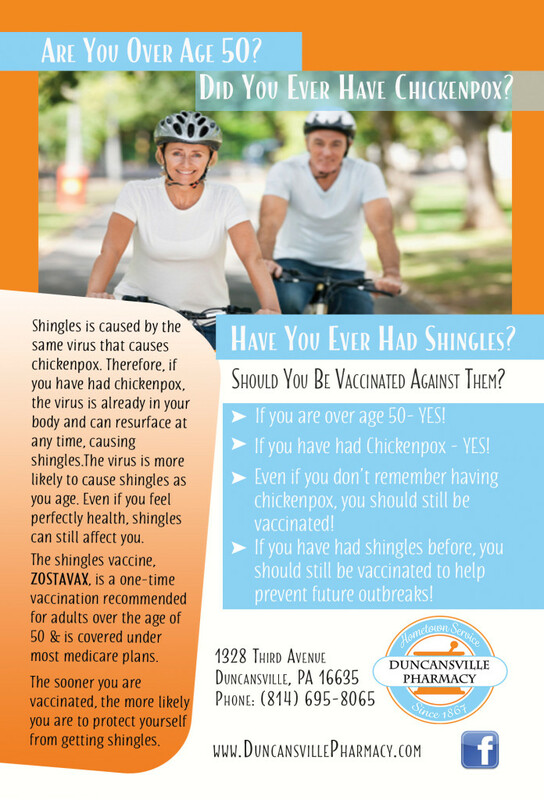 “Shingles is caused by the varicella zoster virus (VZV), the same virus that causes chickenpox. After a person recovers from chickenpox, the virus stays dormant (inactive) in the body. For reasons that are not fully known, the virus can reactivate years later, causing shingles. Almost 1 out of every 3 people in the United States will develop shingles, also known as zoster or herpes zoster, in their lifetime. There are an estimated 1 million cases of shingles each year in this country. Anyone who has recovered from chickenpox may develop shingles; even children can get shingles. However the risk of shingles increases as you get older. About half of all cases occur in men and women 60 years old or older. people who receive immunosuppressive drugs, such as steroids and drugs that given after organ transplantation. 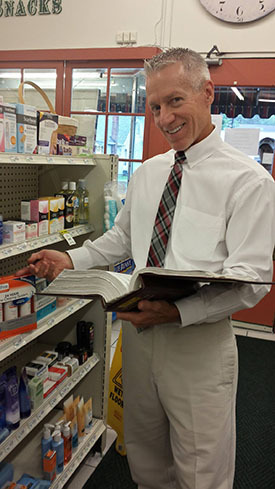 At Duncansville Pharmacy, we are here to help you understand and gain awareness about a host of health information, including the shingles virus and preventative measures you can take to reduce your risk. We have the Zostavax virus in stock and available on a regular basis to be administered by one of our Board Certified pharmacists. You never need an appointment and no prescription is needed. If you think you may benefit from the vaccination, have questions or over age 50, we encourage you to talk to us! For an overview of the Shingles virus, click here to view an informational fact sheet from the CDC.